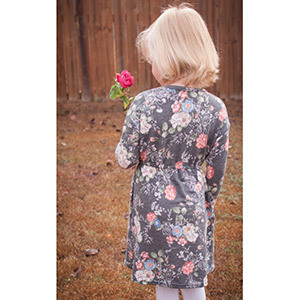 The Deer Creek Tunic and Dress pattern is simply beautiful! Easy to dress up yet comfortable to wear. Flattering in all sizes! Features tunic length, knee length A-line, and curved hem below the knee. Also choose from short sleeve, 3/4 sleeve and long sleeve. And did I mention there was pockets!! No serger required! No special tools needed. 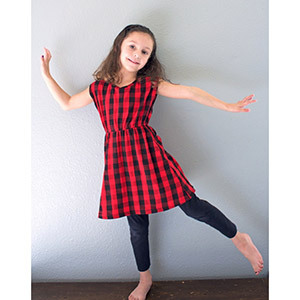 This is the girls' version of the Deer Creek Dress and Tunic. This pattern is available in sizes 6 month to 16. 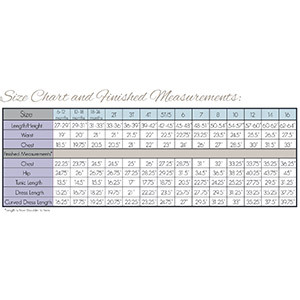 Suggested fabrics are cotton jersey, cotton lycra, brushed poly spandex, and lurex.